As experienced Canadian litigator and head of Veritas Litigation Support, Keith Wilson, sees it – today’s courtrooms are stuck in the past. The legal profession is built upon tradition and lawyers are cautious by nature, which may be why some are slow to adopt new technologies. But Veritas Litigation Support sees things in a different light. Wilson’s company was established to bring an advanced edge to litigators’ arguments by providing law firms large and small with compelling, demonstrative digital material designed to better depict complex information. 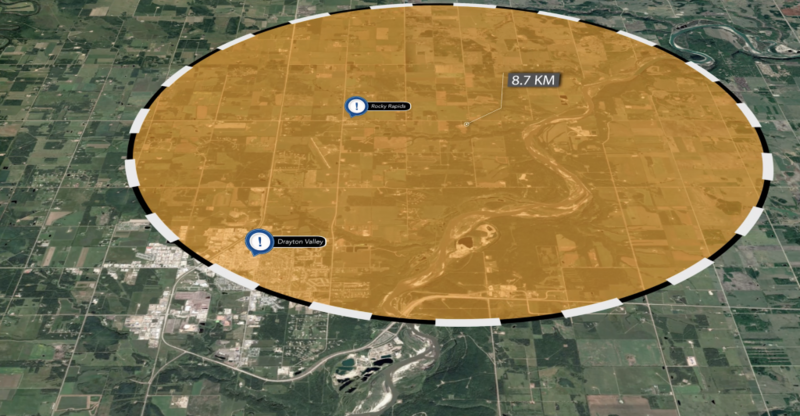 Via a mix of drone footage, animation and 3D models based on captured data, Veritas presents visual evidence as engagingly, explicitly and unambiguously as possible, thus reducing the risk of misunderstanding from those the evidence is designed to convince. However, while the presentation of these visual aids may be clear-cut, the process to create them is altogether more complicated. The challenge when discussing the development of a digital evidence aid with an attorney is that accurate details are not just important, but crucial in the courtroom – not to mention that the attorney’s time is limited and comes at a high cost to the client. Wilson and his team at Veritas experimented with several software products in an effort to make the development process both precise and efficient. It was not until they discovered the secure, online collaborative and video editing tool Frankie, developed by Australia-based developer Cospective, that the problem was solved. Frankie’s easy-to-use web interface and intuitive markup tools makes it possible for technology-averse legal professionals to contribute to the creative process. By quickly jumping into a fully secure online review session, attorneys and their expert witnesses can visually collaborate with Wilson’s team, defining and determining all-important details. For Wilson, Frankie is the pillar of the video evidence development process. Using its accessible tools, Veritas and attorneys of all technological skill levels can work together to ensure digital evidence is precise, compelling, and courtroom-ready. Wilson’s eureka moment about the advantages of using digital visual evidence in litigation was born of frustration. He considered the traditional methods of disclosing data in the courtroom – and the attempts to elucidate elaborate information – to be laborious and inefficient. No matter the preparation put into readying witnesses for the stand, a case could still crumble under the weight of convoluted data that either bored or went over the head of a judge or jury. It’s a platitude, but one that’s overused because it’s so often true: a picture is worth a thousand words. Wilson began experimenting with new technology, seeking to create visual aids that would better present a case’s more complicated aspects. When other lawyers started enquiring about his methods and sought to use them in their own cases, Wilson founded Veritas Litigation Support. In many cases, Veritas lends a hand with environmental matters; construction issues, drainage disputes or pipeline ruptures, which can be filmed or photographed then digitally defined for clear, visual representation in court. 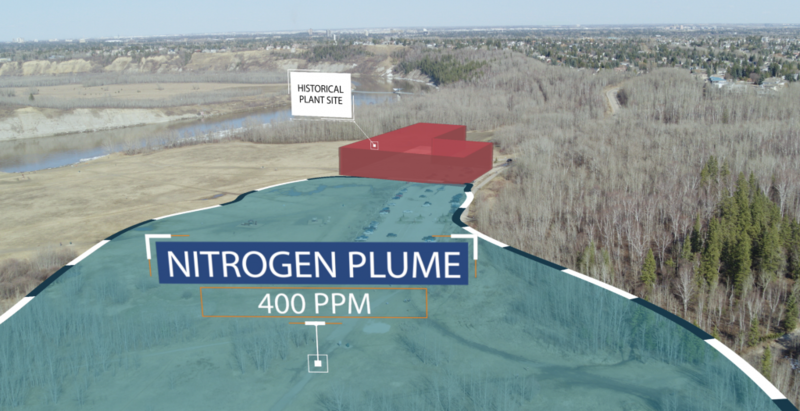 For example, using animation and video footage captured by a flying drone, a lawyer can visually delineate the effect of a contamination plume on a landscape. The situation is immediately given more clarity than that offered by stacks of paper containing reams of text describing measurements, and a judge or jury will immediately understand the scope and context of the case. So far, the use of drone footage, 3D data, and animation has proven valuable in everything from land development disputes to accident reconstruction and medical malpractice. If details matter anywhere, it’s in a courtroom. As such, Veritas’ visual components require a scrupulous and punctilious approach, ensuring that data from expert witnesses is accurately represented and as such avoids the possibility of inadmissibility or appeals. This means Wilson and Veritas must work closely alongside litigators to take in feedback on draft videos and animation – and amend as necessary to produce a final, exact product, ready to be shown on the stand. This is where Frankie’s effortless, accessible interface comes in. Frankie’s web-based interface makes it easy for legal practitioners – who may not necessarily possess a technical mindset – to enter a secure, online session and visually interact with the draft digital evidence product without any need for formal training, and from wherever they may be located. Participants from all over the world can jump online, view the progress of a piece of evidence, and discuss with Wilson’s team if it accurately represents the necessary data. “None of these people have been to film school; none of them are directors,” says Wilson. “They’re highly trained legal professionals, but they didn’t find the time to add digital content creation to their skill set during revision for the bar! “This initially caused problems,” he continues. “When we set up Veritas Litigation Support and presented its digital tools to lawyers, we needed to empower them to provide feedback on the content we produced. We tried several different techniques, but we would find ourselves on a call saying, ‘OK, click play…now!’ It didn’t take long to realize that we were all looking at a different sequence. That wasn’t acceptable. Frankie made the client video review process simple. Not only did it mean minimal disruption to busy litigators’ schedules thanks to its “jump in from anywhere” functionality; the review process itself required nothing more than an ability to look and point using the interface tools. When a draft video is completed, Veritas emails a link to all participants. The attorneys involved just click on the link and interact with the digital content directly within their browser. Within this shared, collaborative space, feedback can flow freely, even when discussing intricate legal matters. Using Frankie’s markup tools, participants leave detailed feedback on video content to ensure required adjustments are clearly indicated. After the session, an automatic PDF report is generated that details all comments and annotations – something that not only eases administration for Wilson, but also stands as a legal-critical article. Wilson sees visual, digital legal aids as a revolutionary tool in the profession, enabling lawyers to better represent critical data and, vitally, win cases for clients. Indeed, Veritas Litigation Support has been recognized for its pioneering work: the company has been nominated for the first annual Legal Innovation Award by the professional education arm of the Law Society of Alberta. Frankie has played a large part in this process, not only by empowering lawyers to connect from anywhere, but also by enabling them to accommodate digital evidence development into their already busy schedules. “It’s become clear to me that one of the obstacles faced by the legal profession in embracing digital demonstrative evidence is their lack of training on video production/workflow editing, but also their fear that they will be spending too many billable hours directing the edits to videos,” says Wilson. Simply put, Frankie has been pivotal in enabling Veritas to carry out its work with all necessary rigor.